Americans are hungry for bold measures to tackle income inequality. The New York Times recently reported that hedge-fund billionaire and GOP megadonor Kenneth Griffin shelled out a record $238 million for a penthouse apartment overlooking Central Park. The news came just days after Oxfam International reported that 26 billionaires have the same combined net worth as the poorest 3.8 billion people on the planet. Meanwhile, many of America’s richest corporate executives spent the week hobnobbing in Davos, Switzerland, at the World Economic Forum, where they focused on the preposterous idea of “upskilling” as a potential answer to rising economic inequality. It seems that each new day brings fresh reminders that the economy is rigged in favor of an out-of-touch elite gobbling up more and more of America’s—and the world’s—wealth. Yet until recently, politicians have, with few exceptions, failed to respond with the kind of bold policies required to make a dent in the problem. 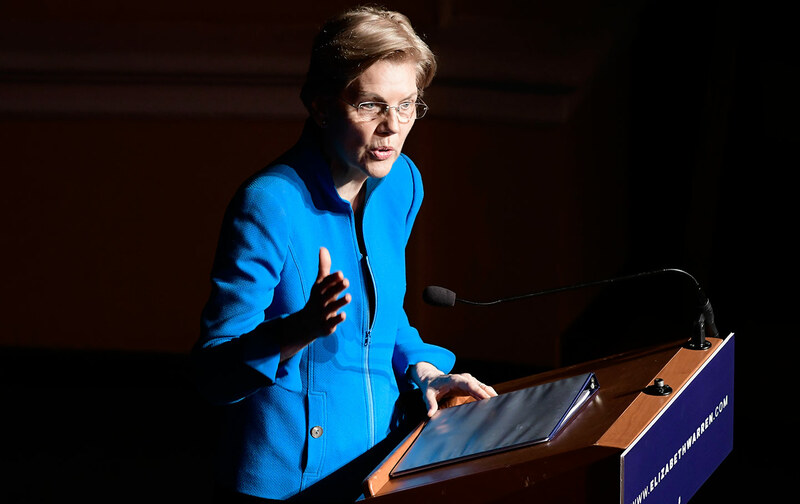 Senator Elizabeth Warren’s idea for a new wealth tax is the latest reason to believe that this sorry state of affairs may finally be changing. Warren’s idea is a potential game changer, and her status as a top 2020 presidential contender is forcing many in the media to pay attention to a problem they often ignore. Much like Representative Alexandria Ocasio-Cortez’s suggestion that top earners should pay a marginal tax rate as high as 70 percent, Warren’s plan has already won support from voices typically aligned with the Democratic establishment. “The incidence of extreme wealth inequality—as well as the magnitude of never-taxed wealth—is just so obscene, at this point in our nation, that I think there is simply no choice but to explore a wealth tax like this,” said Gene Sperling, a top economic adviser to Presidents Bill Clinton and Barack Obama. As the Democratic Party’s ideas primary ramps up, plans to take on economic inequality should continue to get more attention, especially if Senator Bernie Sanders enters the race; he has just proposed expanding the number of wealthy Americans who would be subject to the inheritance tax. What is clear is that the public is hungry for far bolder measures than the ones our political leaders have offered in the past. May the best ideas win.